Join Cuyuna Regional Medical Center and GuidePoint Pharmacy as they host Business After Hours on Tuesday, April 9, 2019 from 4:30 – 6:00 pm at their new locations in Breezy Point. Those attending can tour the new clinic and GuidePoint Pharmacy, meet the physicians, nurses, pharmacists and technologists, check out a patient mannequin and test their skill at an Operation Man bean bag toss. Numerous door prizes will be awarded and all of those attending will receive a complimentary outdoor first aid kit. Breezy Point Resort will be catering a taco buffet with chicken, vegan and all of the traditional fixings. There will also be a fresh salsa and dip bar including chips; mango, corn and black bean salsa; as well as guacamole. Regular and non-alcoholic margaritas, wine and beer will be served. The Sweet Life Bakery in Pequot Lakes is providing fresh macaroons, minitarts and cupcakes. The clinic and pharmacy are anchors of the new North Star Center complex named after the Breezy Point North Stars USA Hockey-sanctioned junior ice hockey team being developed on 20 acres by White Birch, Inc.
Services immediately available at CRMC’s new clinic include laboratory and diagnostic imaging. Specialty surgery and orthopaedic services will also be available on certain days of the month. Future services planned include obstetrics/gynecology and reflux and heartburn. 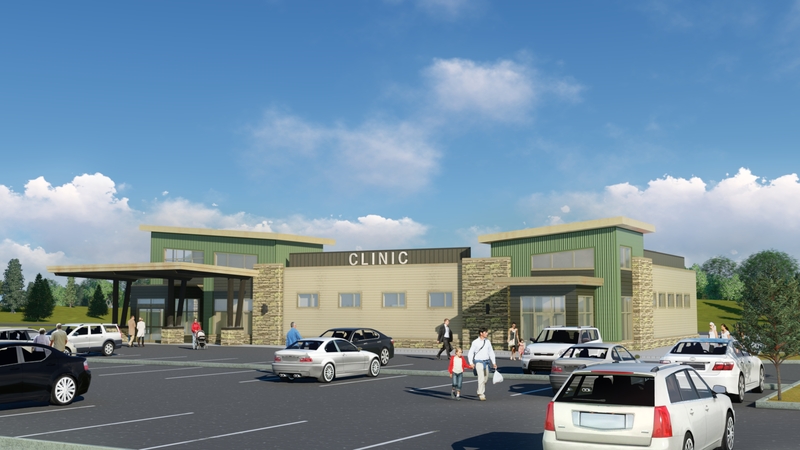 This Breezy Point location will be the fifth GuidePoint Pharmacy in the Lakes area. In addition to filling prescriptions, GuidePoint Pharmacy offers many services such as medication synchronization and auto-filling of prescriptions, bubble packing medications, blood glucose and blood pressure screenings, pharmacogenomic testing, immunizations, medication therapy management, and prescription delivery. Unique gift items, cards and home décor items will also be available at the pharmacy. CRMC’s $3 million, 10,000 square-feet facility includes nine exam rooms, a procedure room, laboratory, X-ray room, central nurses station, registration and welcoming patient area. Dr. Mark Berntson, a Board-Certified family physician with 30 years’ experience, is leading the medical staff which also includes nurses, laboratory technologists, phlebotomists, diagnostic imaging technicians and receptionists. Over 16 qualified staff will be employed at the clinic which has additional space available for expansion. GuidePoint Pharmacy’s newest facility will be staffed by Pharmacist Lisa Iverson, with two other auxiliary staff personnel to assist. She has been a pharmacist for more than 25 years and has experience in both community pharmacy and clinic-based pharmacy.